With warmer air making its presence felt, we are not away from summer. However, if you are afraid that running the air conditioner will cause your bills to skyrocket, we have a solution for you. Apply these tips to stay cool will keeping your utility bills under check. One of the best tips to save your money is to use the ceiling fan. Using a fan can make you feel six or seven degrees cooler. While a fan does not cool the room, it makes the environment comfortable. However, remember to turn off the fan when you are leaving the room, as leaving it on will waste energy. Using a ceiling fan along with an air conditioner makes it easy to disperse the cooler air efficiently. Keep the air condition on during the day time and switch it off at night. This will help you save money while enjoying a comfortable temperature. As evening air is naturally cooler, you can enjoy it by opening a window and using a ceiling fan. You can even open windows or doors on both sides of the house to allow the air to flow through. Moreover, at night, your body does not need the air conditioner to run at the same temperature as it does during the day. So you can easily switch off the air conditioner and switch on the fan to enjoy saving your money. When it comes to saving money and reducing energy consumption, every degree counts. To avoid making the unit work too hard, set the thermostat at a comfortable temperature. Keep the thermostat somewhere around 71 to 75 degree Fahrenheit. Remember for every degree of cooling that you live without, you will be saving money. So make sure to avoid setting the thermostat too cold during summer. 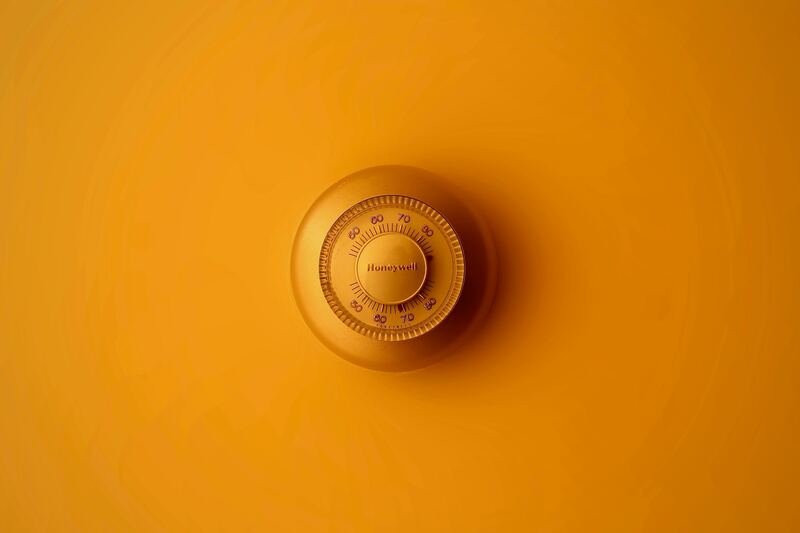 Did you know setting the thermostat one degree warmer than what you normally do will help cut your utility bill by about 10 percent? Remember to set the thermostat not less than 8 degrees below the outside temperature. You can also invest in a programmable thermostat to maximize the energy efficiency of the air conditioner. During the day, try to keep the sun out as much as possible. You can invest in blinds, shades, curtains or anything else that will help to keep the sun out. Easily prevent solar heat gain by closing the blinds, shades. Did you know highly reflective blinds can help reduce the heat gain by about 45 percent? You can even plant trees in the vicinity of your house to throw shade and decrease your utility bill. Plants, shrubs, and vines can provide shade to your home, in turn keeping it cool. Have you got your air conditioner tuned up for summer? If not, now is the right time to invest in air conditioner tune-up services in Salt Lake City. Get in touch with Lee’s Heating and Air to get a professional and reliable tune-up services. Call 801-467-1561 today!